(2004/JAT) 632 pages; 23x19 cm; Paperback: Complete discography from the early 1953 acetates to the 1980 re-recording sessions. Studio, live, overdub and private recordings listed separately. Many rare black & white photos. Elvis Presley’s overall impact on society was profound in many areas, but the most important aspect was the way he revolutionized music. Elvis Sessions III is the only publication to properly gauge the true depth of his artistry. Years of tireless research have ensured a level of accuracy that sets a new standard in reference literature.With newly discovered facts, and over 100 unreleased photos, Elvis Sessions III is a requirement for any comprehensive study of 20th century music and culture. Chicago (August 5th) - Elvis Sessions III is the third volume of Joseph Tunzi’s acclaimed Elvis Presley sessionography. As authoritative as the first two entries were, neither prepares you for the sheer knowledge the third volume imparts. As well as containing previously undocumented facts, every J.A.T. Publishing release is acclaimed for their inclusion of beautiful, unreleased photography. Designed beautifully, Elvis Sessions III will include over 100 stark black and white illustrations. Looking at Elvis in photos from actual sessions and concerts makes clear the passion he felt for music. From his first demo to his last tour Elvis Sessions III explores the most important body of music ever recorded. Covering every area of Elvis’ recorded legacy. Bootlegs, rehearsals, soundboard recordings, a complete discography, and many surprise chapters are all included. 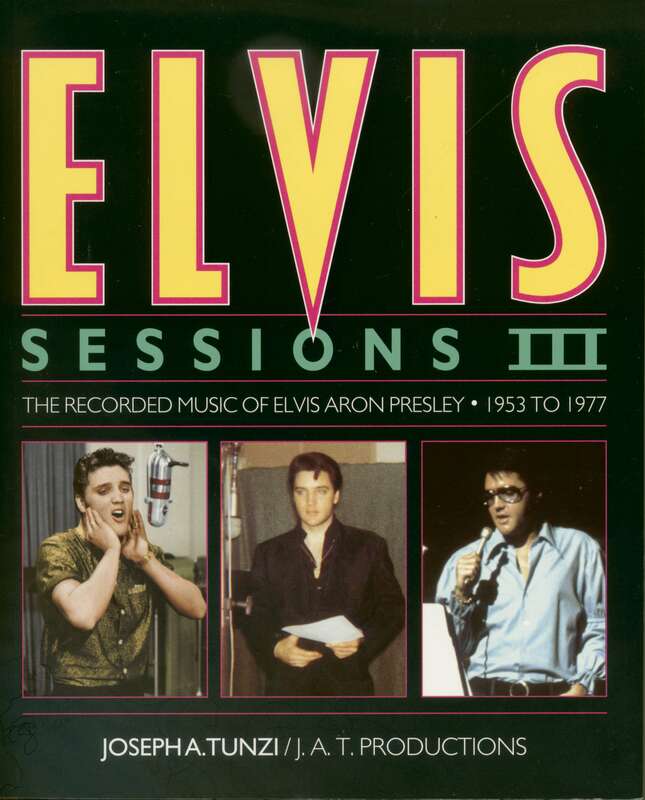 Another thing that makes Elvis Sessions III stand out from other reference material is the easy to read format. Even a casual fan can learn the intricacies of how Elvis’ recordings were constructed and marketed. 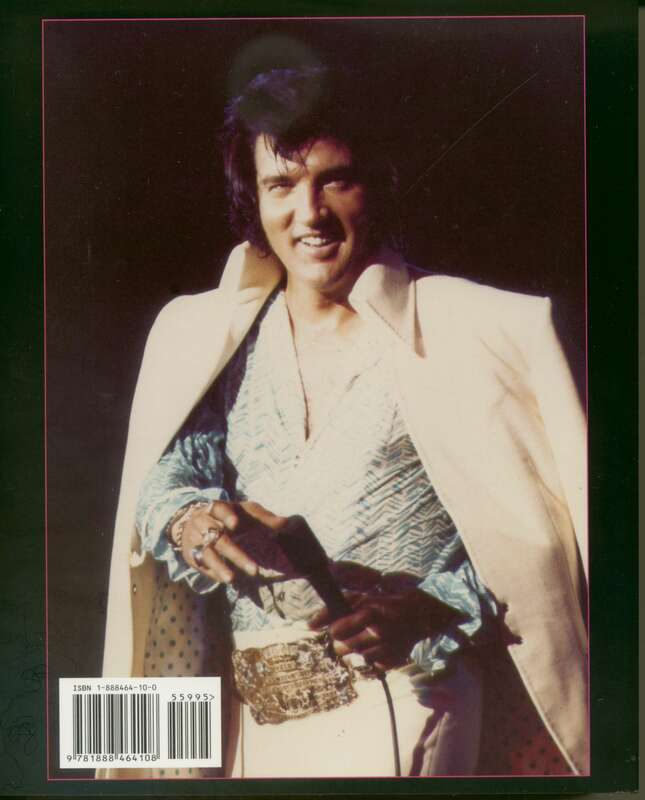 A particularly informative section contains undocumented details about Presley’s two concert documentaries That’s The Way It Is and Elvis On Tour. Joseph Tunzi’s evenhanded approach has received praise from both casual and diehard Elvis Presley fans. Since J.A.T. Publishing only makes a limited number of all their products, Elvis Sessions III is going to quickly become a sought after collectible. Customer evaluation for "Elvis Sessions III - Joseph A.Tunzi"